Wow -- our first ever WEBSITE sale! 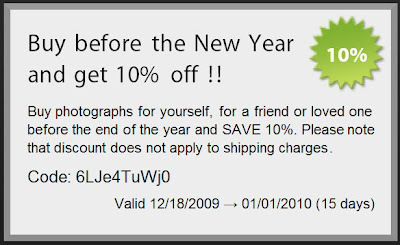 We know that you LOVE your photographs -- now is the time to make those online purchases -- save on photographs, gifts, canvases, framed photographs, even digital downloads from your photo session. 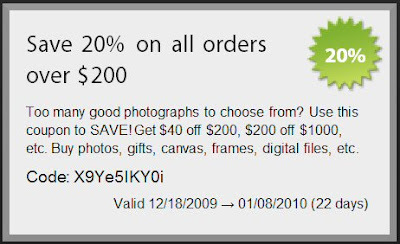 Go to our website http://tlc.smugmug.com/ and pick out those favorite for yourself or for a gift. These coupons can be used over and over again by you, by friends, by family until they expire. Please note that the discount does not apply to shipping charges. Sale applies only to orders placed through the website, not orders placed directly with us. “Life is not measured by the number of breaths we take, but by the moments that take our breath away.” Let us create memories from your moments. We enjoy taking pictures that will bring you right back to the moment for years and decades to come. PORTRAIT PHOTOGRAPHY: Tom and Lisa Cuchara of BREA Photos provides studio, lifestyle or outdoor portraits of Newborn, Babies, Children, Family and Maternity throughout Connecticut. Tom and Lisa Cuchara of BREA Photos specialize in photographing Newborns, Baby, Children, Maternity and Families. We have a Studio, and weather permitting, also have location photo sessions. Studio, Lifestyle, Environmental and Outdoor Portraits. WEDDING PHOTOGRAPHY: Tom and Lisa Cuchara of BREA Photos provide modern Wedding Photography throughout Connecticut. Tom and Lisa Cuchara of BREA Photos provide contemporary, traditional and photojournalist artistic Wedding Photography. Capturing the details, the emotion and the beauty of your day. Let us tell your story. A member of the Professional Photographers Association (PPA) and Wedding & Portrait Professionals International (WPPI). Lisa and Tom of BREA Photos LLC provides this material for your informational and entertainment purpose only. Our sites do allow for reader feedback, but we can not be held responsible for all of their content. Lisa and Tom of BREA Photos LLC do moderate and we will remove anything that is deemed inappropriate. Readers agree not to post intentionally mean or harmful comments, upload virus, spam, or anything illegal. Lisa and Tom of BREA Photos LLC can not be held responsible if something like that does happens to occur. We do sometimes provide links to external websites for informational purposes as a convenience to our readers, but we have no control over them. We try to ensure that the websites linked and any other links from this website contain "safe" content for everyone, but be aware that some sites may contain explicit and other potentially offensive material due to the subject matter of the photographs exhibited. Users should contact the external website with questions or concerns regarding its content. The content of a linked website may change at any time; if you find a link that is broken (or inappropriate) please contact us.